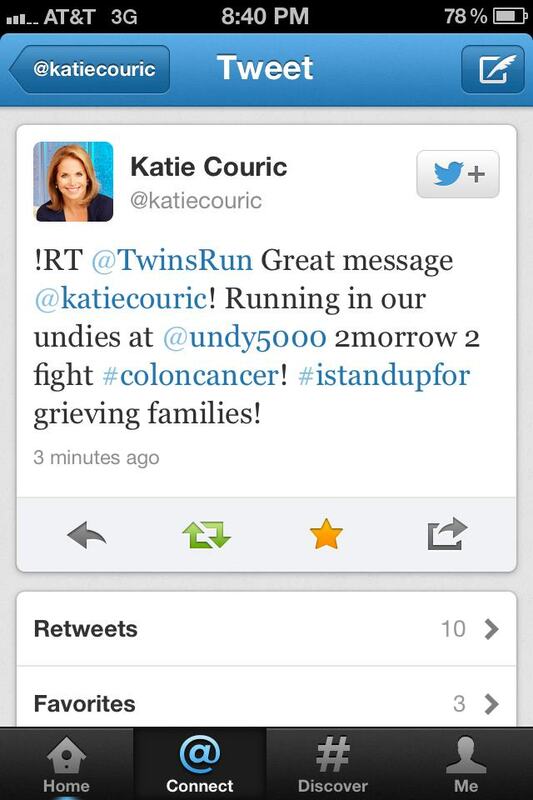 What a surprise to get the RT from Katie Couric during the Stand Up to Cancer (SU2C) show on Friday night! Katie is such an inspiration to me. 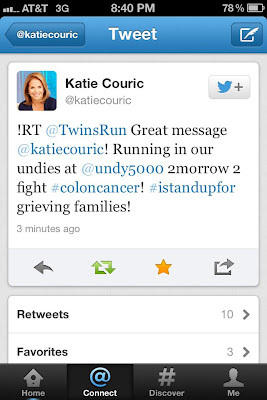 Since Katie lost her husband to colon cancer, I was so grateful for her support of my tweet to bring awareness to the Undy 5000 and grieving families! 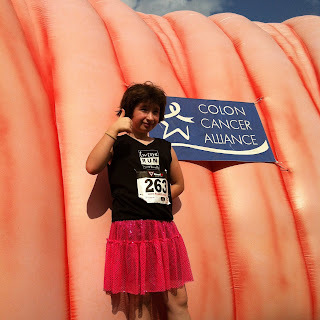 I'm still trying to gather my thoughts to write a post, but wanted to share a few photos in the meantime. 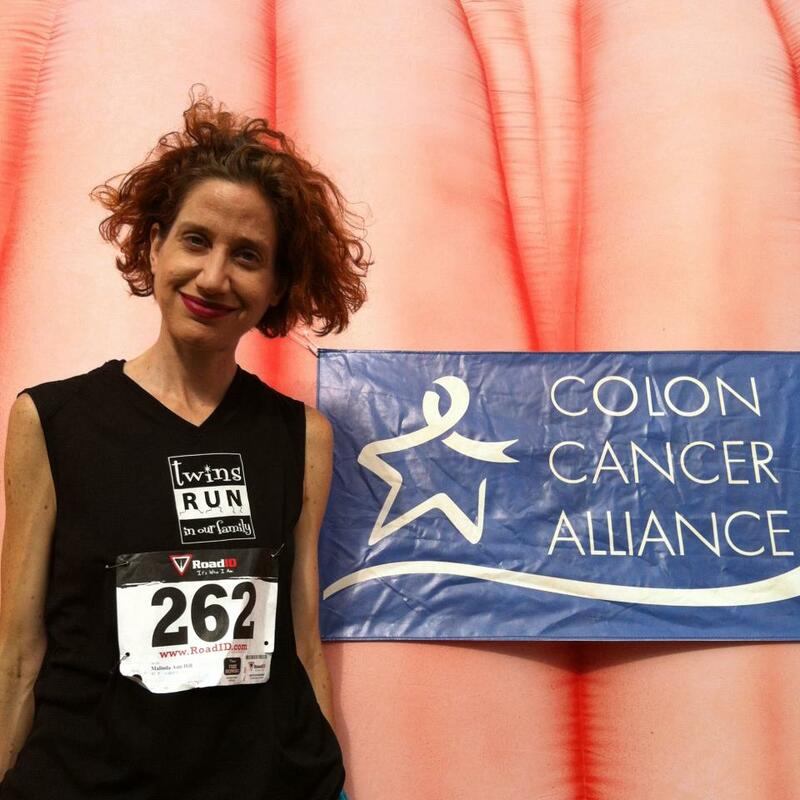 Also, I wanted to share with you a post from another inspirational mother runner, @MamaDeak. I met Anne through our love for the Afghan Whigs. Through our tweets, I learned that she was also a single mother. 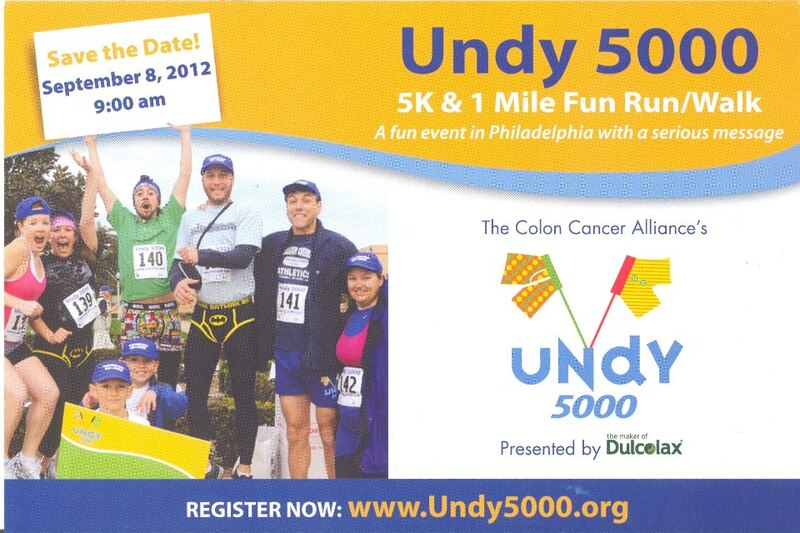 I also learned that she recently lost her husband, Joe, age 36, to colon cancer. 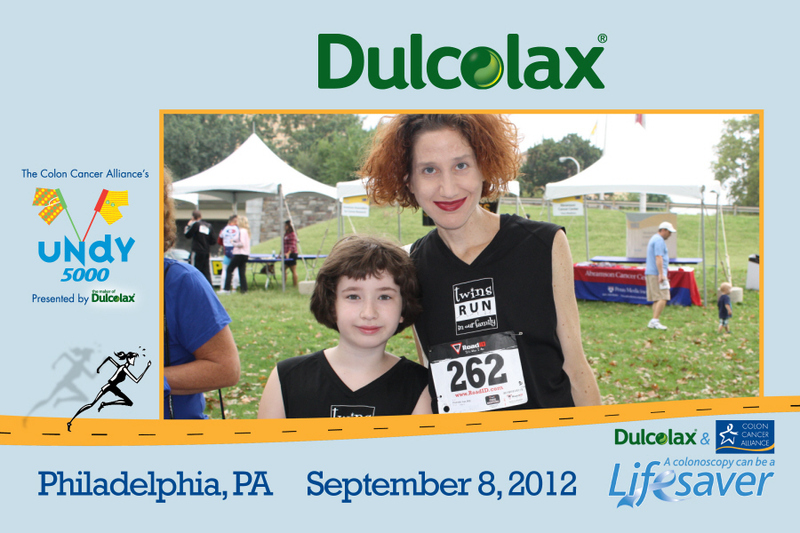 Her blog is very touching and inspirational. I hope you will take the time to read her latest post about her experience at the Philadelphia Undy 5000: "Running the Undy 5000". Love, love, love the photos! And thanks for connecting folks to my blog. You have certainly been an inspiration to me as well!